Coming soon! 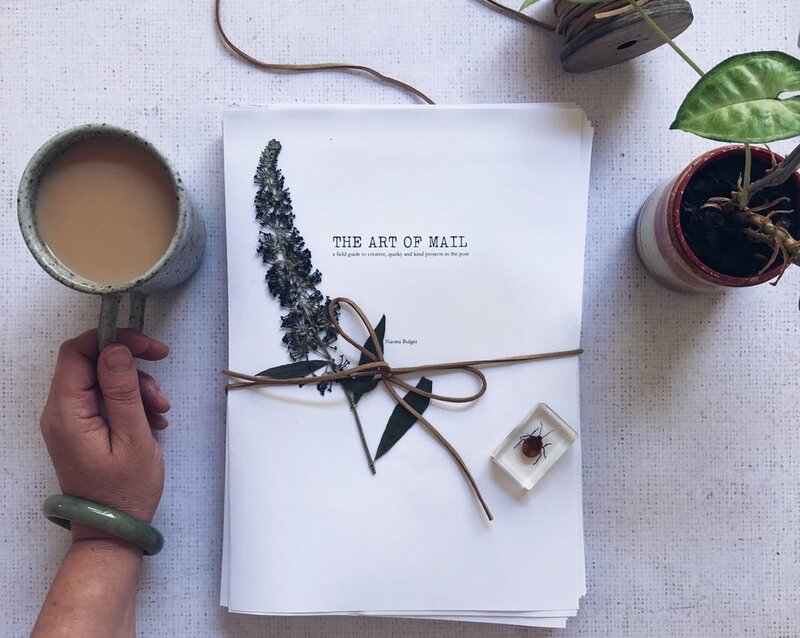 The Art of Mail: a field guide to creative, quirky and kind projects in the post (previously Snail Mail Revolution) is the working title of the book I’m working on right now. It is about all the clever, kind, quirky and creative things that people are doing (and YOU can do) with the postal service. I’ve interviewed mail heroes like Rin from Papered Thoughts, founder of Mail Me Art Darren Di Lieto, and artist and zine-maker (and person behind the one-and-only Parcel Ghost) Marissa Falco. I introduce you to an honest-to-goodness fairy post office hidden in a forest; a postcard-related art project that has gone global; places to find pen-pals and join creative mail-swaps; a professional letter-writer; a hidden, stamp-related game on a city’s streets; museum exhibits that write letters to visitors; a Rube Goldberg postcard machine; and a modern take on the secret language of stamps. There are more than 100 stories and heroes and resources and ideas in the book, and every single one of them includes inspiration, guidance or links so that YOU can get involved, too. It’s impossible to put into words just how greatly these themes warmed my heart, once I came to recognise them. They helped me crystalise in my own mind many of the reasons why I am personally so drawn to the idea of snail-mail. I think that if mail can do all of this, then it will truly survive its transformation in the new Internet era, because it offers something for everyone. I can’t wait to share this book with you soon!